Hardwearing - Soft touch nylon/taslon PU fabric with fully taped seams. 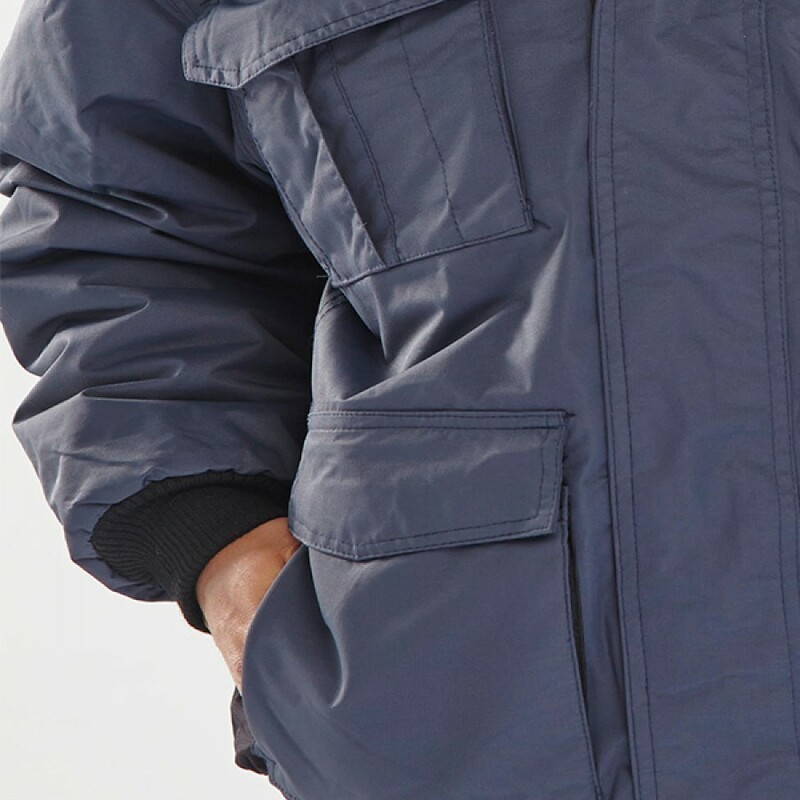 Fully lined hood with drawcord/cordlock toggles concealed under collar. 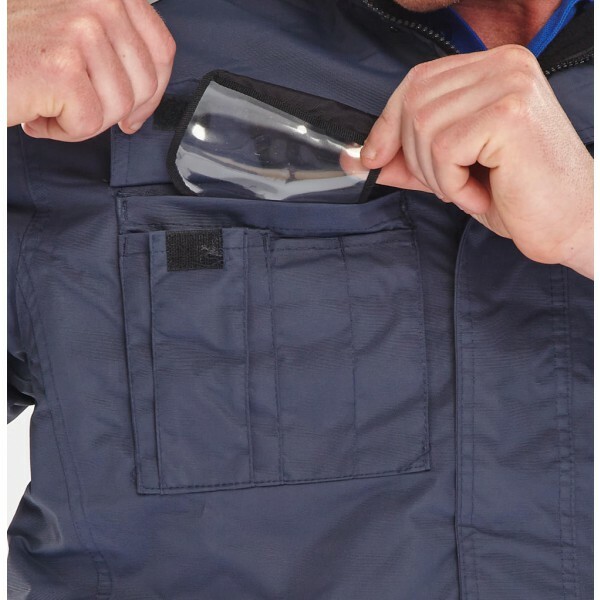 Right breast multi pocket with concealed ID card feature. 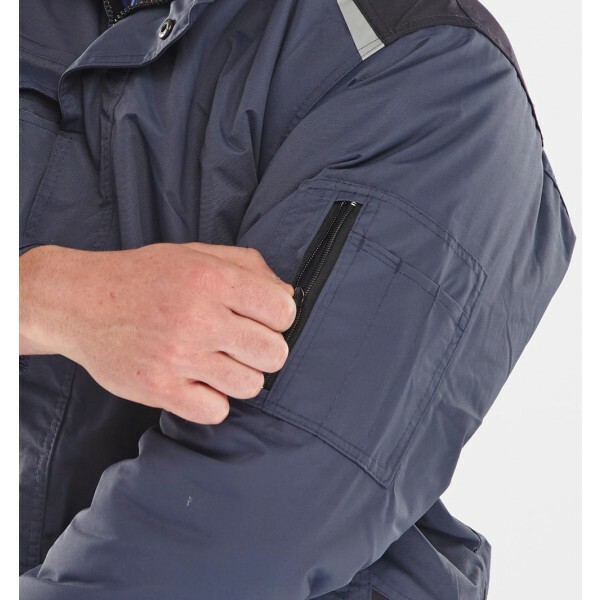 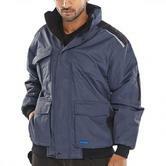 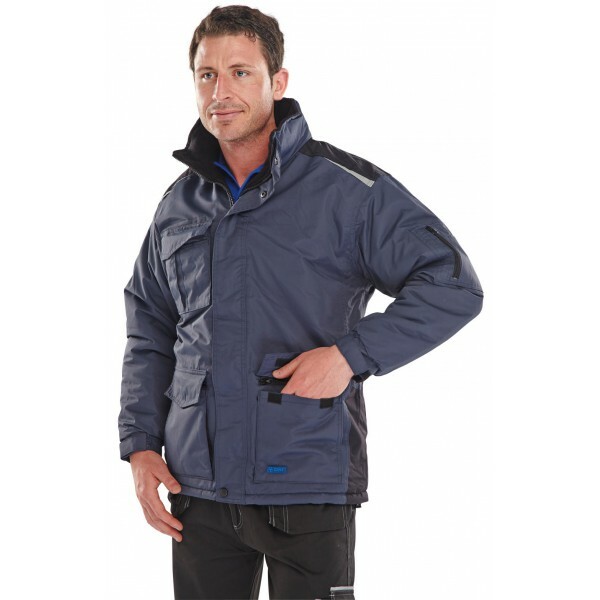 Multiple lower pockets with zipped safety function and hand warmer. 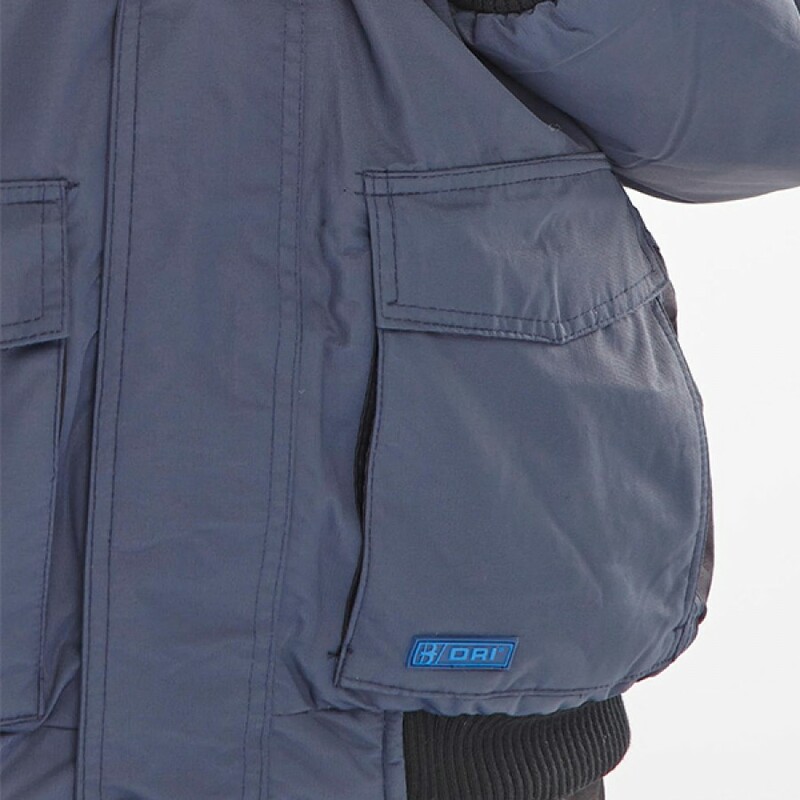 Available in size XLarge only.